Take your seat at the tables and play Live Casino Hold’em today! It’s a fun and rewarding live online casino game with a generous RTP of 97.84%! 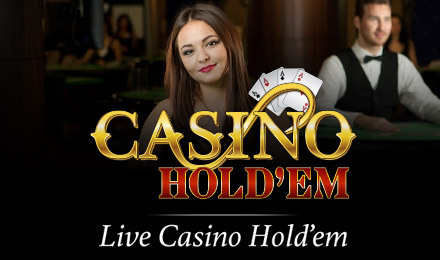 Casino Hold’em is a live online casino game based on the popular Texas Hold’em – but with some variations. For example, in Casino Hold’em, multiple players play against the dealer instead of competing against each other. There’s a rewarding payout up to 1,000 to 1 plus a Bonus Bet option for even more generous wins. Take a sip of your martini and get ready to have a great time online whilst winning big!